Robert Vincent was elected President of the BOMA Council of Greater Phoenix in November of last year. He is with Cordia Capital Management based in El Segundo, California, and is an Asset Manager. He has been involved with the BOMA Council here for many years and has his RPA certification. As a result, his vision is to expand and deepen the educational offerings of BOMA and towards this end initiated a “Lunch & Learn” quarterly educational series around topics that property managers and building vendors would mutually value last year. His vision for 2019 is to help bring the local council to a higher level by reforming the committee structure of the organization and making it more responsive to the Board while breaking down silos between committees so they can work more collaboratively. Other priorities include revamping the bylaws that have not been systematically reviewed for some years. The organization has also made it a priority to review existing policies and procedures such as instituting an alcohol policy for events and has eliminated the waiting list for vendors to join. Speaking of membership which is up more than 20 percent from same time last year, Vincent and has put an emphasis on recruiting building engineers to the organization. The organization is also much more active at the State Capitol and has re-established a lobbying presence to protect building owner bottom lines. 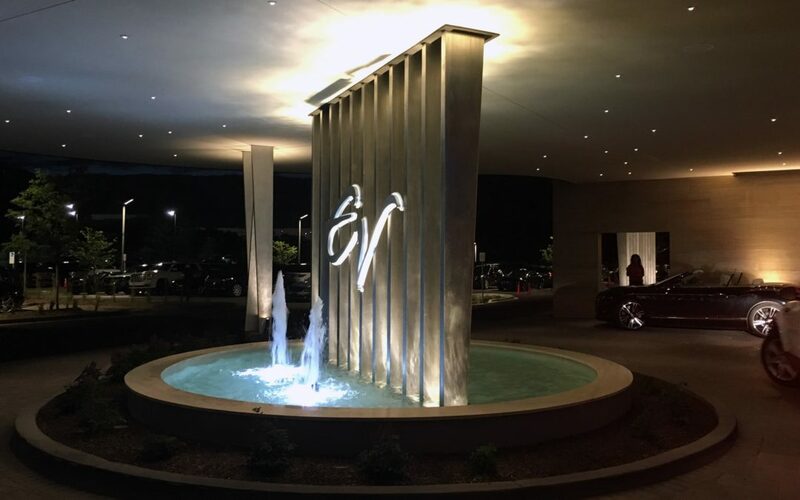 Finally, the organization will be adding a major new networking event this summer called Casino Night to be held Friday, July 26, at the Westin Kierland Resort. MadridMedia sat down with Vincent to ask him more about his vision and insights about the commercial real estate industry in Metro Phoenix. Q: What has been (or going to be) your biggest challenge this year as President? A: I see one of our biggest challenges for 2019 is continued growth for the organization. In order to curtail that, we will need to deliver sustainable and relevant educational programs and content to our membership. We have to execute and deliver a polished product and keep membership engaged. Q: Do you foresee a 2-year term? A: I do. I think you need one year to steer the ship on course and the second year to truly execute the mission. Q: What are some ideas/changes you are bringing to BOMA Phoenix? A: For 2019, we are overhauling our entire committee structure to enhance communication and to retrieve real time information from all 12 of our committees. We will also be launching a new Alcohol Policy and bringing impactful speakers to our luncheons. Q: What is your secret weapon for leadership? A: Consistency. In order to effectively lead, you must be consistent and clear with your objectives. I believe that once consistency is established, your audience will know where you are going and where you are taking them. This is what I like to call “GSD” – getting stuff done. A: I have a strong mechanical background. I was a diesel and A/C mechanic for 10 years in a prior life and was able to apply those skill sets directly to property management. I do have a tendency to always be fixing something. Whether it’s a child’s bike at home or an emergency at a property, I am always engaged with my personal and professional life. I feel compelled to learn from others and constantly searching for long-term solutions. Q: How do you impact the next generation of commercial real estate professionals? A: We have to capture the next generation of industry professionals – period. I think it is essential to attract the next generation with relevant programming and mentorship. Q: What can membership expect from the board this year? A: I think that membership can expect transparency and action by the Board in 2019. We have a very diverse group of industry professionals who want to make an impactful difference for this organization. Q: What legacy do you want to leave behind? A: I want my legacy to be a term of meaningful change and revitalization. I want to bring fresh ideas and be strategic on how we grow this prestigious organization. I want to leave behind my best and want to learn from the best. Q: What do you like to do in your down time? A: I enjoy watching Marvel movies with my wife and three beautiful girls. I also enjoy working in the garage and rebuilding my 1967 VW Bug. 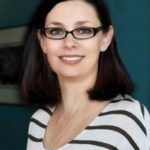 PHOENIX, ARIZONA (April 24, 2019) – MEB Management Services, a provider of comprehensive multifamily management services throughout the Southwest, is pleased to announce the promotion of three industry professionals at its Tucson office and a title change for one of its professionals at its Phoenix office. In the Tucson office, Denise Trentacosta, ARM, CPM, was promoted to Asset Director; Laura Zorrilla was promoted to Director of Business Development; and Nicole Huffman was promoted to Accounts Payable Manager. 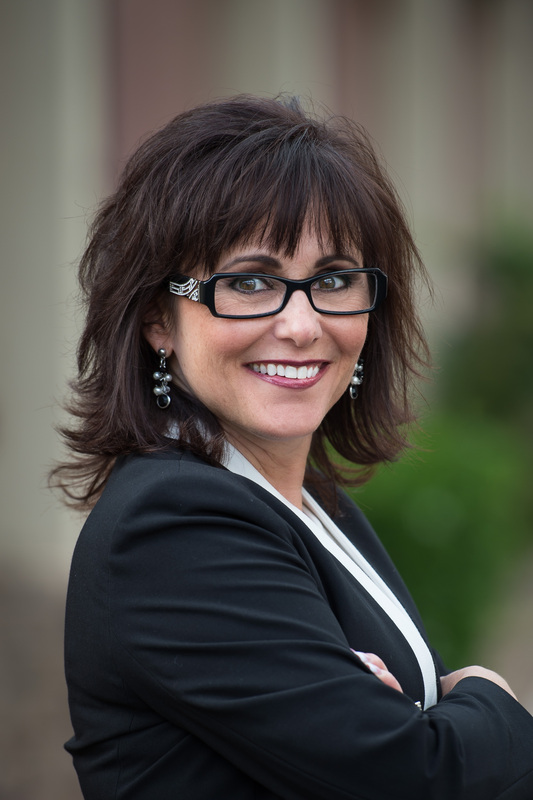 In Phoenix, Susan Kauffman’s new title is Director of Strategic Relationships. Trentacosta, who has been with MEB for almost 10 years, was promoted from Assistant Asset Director. She will now have direct oversight and management of 36 employees at six multifamily communities totaling 1,525 units. 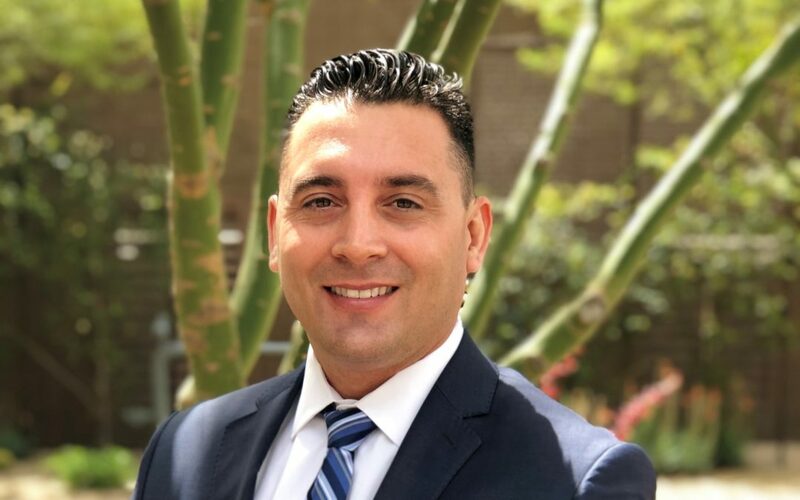 A native of Arlington, Texas, Trentacosta is involved with the Arizona Multihousing Association and its Big Hearts program. She has received ARM and CPM designations from the Institute of Real Estate Management (IREM). Zorrilla was promoted from Analyst. 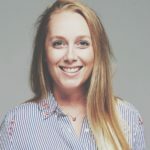 She has been with MEB for 2 years and will develop and oversee new business planning and implementation. She will also oversee corporate marketing strategy and actively represent MEB in the multifamily industry. A native of Tucson, Zorrilla is an AMA Lyceum and a member of the AMA Communications Committee. Huffman, who has been with MEB for 5 years, was promoted from Accounts Payable Coordinator. She will now supervise accounts payable and oversee the compliance department and vendor compliance. Huffman is a native of Indiana and was raised in Tucson. Kauffman, who has been with MEB for 7 years, formerly was Director of Business Development. She holds a real estate license from the Arizona School of Real Estate. 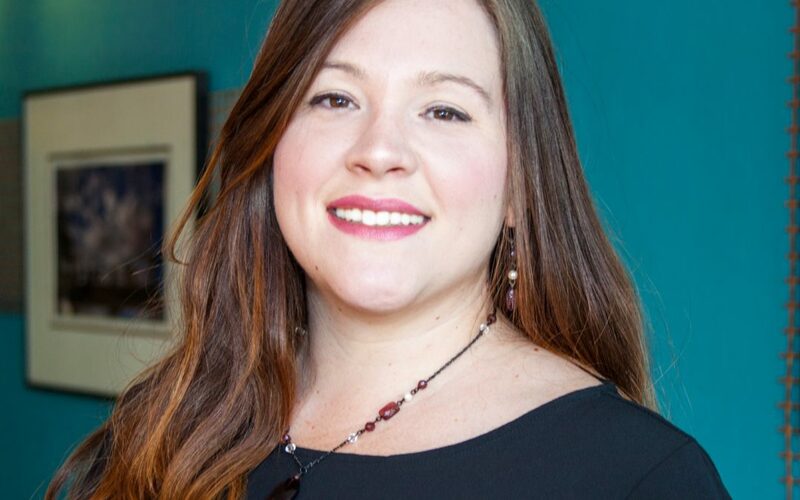 A native of West Virginia, she is involved industry groups including the National Multi Housing Council and the Arizona Association of Economic Development. Kauffman’s expertise is in market analysis, creative marketing, training, business development, corporate relocation, corporate housing and creating collaborative relationships within the real estate industry and municipalities. Kauffman is also the leasing and outreach trainer for MEB team members. PHOENIX, ARIZ. (April 23, 2019) – Last year’s REIAC/Rockefeller Group Challenge was one of the closest finishes in the 5-year history of the event. What will this year’s teams bring to the table? 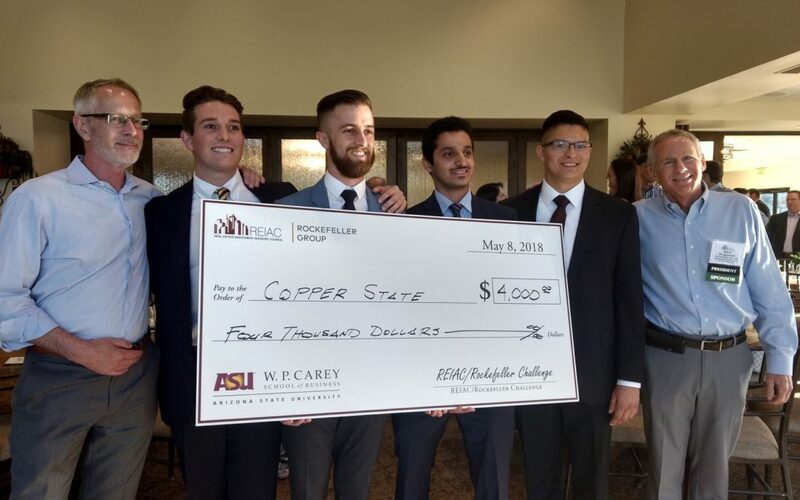 Find out May 2 at Arizona Country Club, 5668 E. Orange Blossom Lane in Phoenix, when teams consisting of graduating students from Arizona State University’s W. P. Carey School of Business, Masters of Real Estate Development (MRED) program compete for cash prizes of $1,000 per team member. This year’s 3rd Synthesis is the ASU Novus Innovation District. Last year, Copperstate Development captured the top honor among three teams, garnering $1,000 each for Robby Leonard, Cody Wolfe, Josh Rodriguez, and Mohammed Almehaidib. 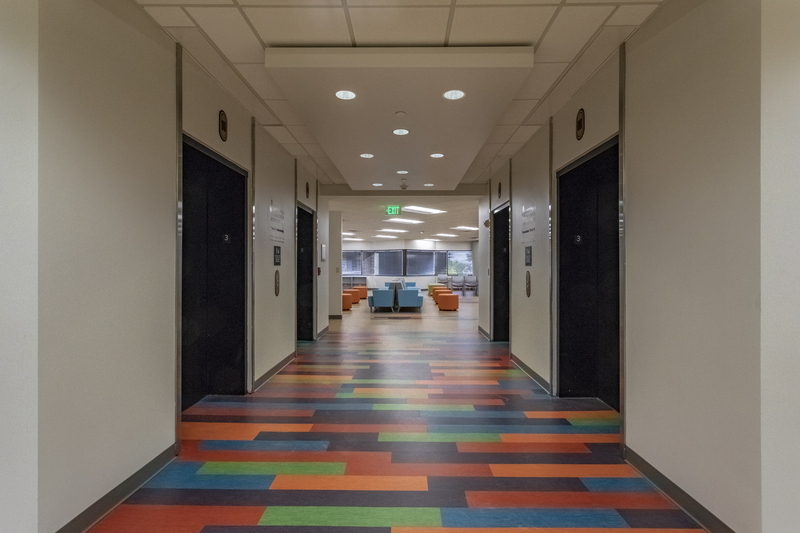 Last year’s project was the 148-acre Arizona State University Thunderbird School of Global Management campus in Glendale that is moving to downtown Phoenix. The event is open to the public. Cost is $35 for non-REIAC members and $25 for students. Registration and networking begin at 4:30 p.m., followed by the program at 5 p.m. A networking mixer begins at 6 p.m. It includes hosted beverages and appetizers. Each team is allotted 10 minutes to present a development solution for a storied piece of Arizona commercial real estate, followed by questions from the audience. Audience members will vote to choose the winning team after the presentations, awarding each winning team member a $1,000 check at the Challenge, up to $6,000. From the start of the academic year to their final synthesis project, one of the goals for each team is to be in the top three chosen to present to the REIAC Southwest membership and the public. Participating teams field questions and comments from experienced developers and investors. Registration for the REIAC/Rockefeller Group Challenge is required. Register at reiacsouthwest.org/event-3244067. PHOENIX, ARIZONA (April 23, 2019) – Long-term leases for two popular Valley restaurants – Zipps Sports Grill at Park Central in Phoenix and Filiberto’s Mexican Food in Anthem – highlight recent deals closed by NAI Horizon professionals. Tyler Smith, Joe Pequeno and Troy Giammarco negotiated the sale of an office building, representing the seller, Shah Group Investments, LLC, for $1.550 million. The property is located at 3400 N. Dysart Road, Bldg F, Suites 121 & 123, and Avondale, AZ. The buyer, Arizona Agribusiness & Equine Center, Inc., was represented by Joel Moyes with Kinetic Companies. Andrew Warner negotiated the sale of a mobile home park, representing the seller, Village Square, LLC, for $910,000. 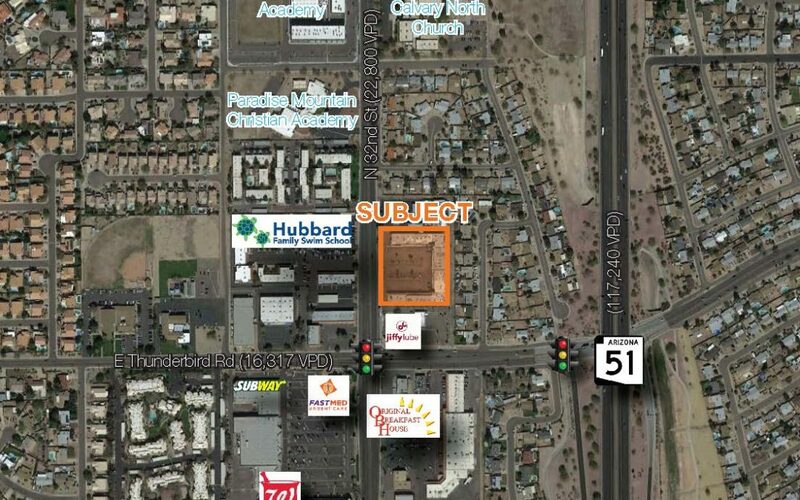 The property is located at 2105 W. American Ave., Oracle, AZ. The buyer was Skyline Real Estate. Chris Gerow, Shelby Tworek, Gabe Ortega and Patrick Anthon represented the tenant, Zipps Park Central, LLC, in a 120-month retail lease for 6,506 SF at 3110 N. Central Ave., Phoenix, AZ. Brent Mallonee with Cushman & Wakefield represented the landlord, HPPC, LLC. Chris Gerow, Shelby Tworek, Gabe Ortega and Patrick Anthon represented the landlord, Orange Center, LLC, in a 120-month retail lease with Filiberto’s Mexican Food for 2,800 SF at 3632 W. Anthem Way, Phoenix, AZ. Tyler Smith, Joe Pequeno and Troy Giammarco represented the landlord, Bay Pacific Phoenix Corporate Center, LLC, in a 52-month office lease for 6,154 SF at 10030 N. 25th Ave., Phoenix, AZ. Kate Morris with CBRE represented the tenant, VHS Outpatient Clinics, Inc.
Mark Wilcke represented the landlord, ICC Tempe, LLC, in a 60-month industrial lease for 9,974 SF at 2507 E. Erie Dr., Tempe, AZ. Josh Wyss with Cushman & Wakefield represented the tenant, Pan Jit Americas, Inc.
Chris Gerow, Shelby Tworek, Gabe Ortega and Patrick Anthon represented the landlord, New Bell Tower, LLC, in a 72-month retail lease with Incredible Escape Rooms, LLC for 7,200 SF at 4925 W. Bell Road, Phoenix, AZ. Lori Kahn and Tyler Smith represented the tenant, Integrity Pain and Anesthesia, PLLC, in a 75-month office lease for 2,506 SF at 6677 W. Thunderbird Road, Glendale, AZ. Megan Reeves with Plaza Companies represented the landlord, Christian Consulting, Design & Engineering, LLC. Kevin Higgins represented the landlord, Bogle Family Realty, in an 84-month office lease for 1,553 SF at 7227 N. 16th St., Phoenix, AZ. Dave Heiple with Heiple Travers Realty represented the tenant, The Board of Visitors. Matt Harper, CCIM, represented the landlord, Grand Center Plaza, LLC, in a 62-month retail lease for 3,321 SF at 11001 N. 99th Ave., Peoria, AZ. The tenant, Embrace Life, Inc., represented itself. Chris Gerow, Shelby Tworek, Gabe Ortega and Patrick Anthon represented the landlord, Los Rios Farms, Inc., in a 24-month retail lease with Yoga Breeze Serenity Shala, LLC, for 2,640 SF at 4705 E. Carefree Highway, Cave Creek, AZ. Chris Gerow, Shelby Tworek, Gabe Ortega and Patrick Anthon represented the landlord, New Bell Tower, LLC, in a 38-month retail lease for 1,297 SF at 4915 W. Bell Road, Phoenix, AZ. Douglass Lee with Phoenix West Commercial, LLC represented the tenant, Milesbrook, LLC. Matt Harper, CCIM, represented the landlord, M&N Realty, LLC, in a 36-month retail lease for 1,227 SF at 12020 S. Warner Elliot Loop, Phoenix, AZ. Tom Wolf with West USA Realty represented the tenant, FSquared Partners VI, LLC. Laurel Lewis represented the tenant, Mazen, LLC, in a 24-month office lease for 1,500 SF at 7642 E. Gray Road, Scottsdale, AZ. Mike Kane with Colliers represented the landlord, Thunderbird Aero. Matt Harper, CCIM, represented the landlord, Kayrich Associates, LLC, in a 37-month retail lease for 1,342 SF at 6445 N. 51st Ave., Glendale, AZ. The tenant, Mint Furniture Company, LLC, represented itself. Matt Harper, CCIM, represented the landlord, Kayrich Associates, LLC, in a 24-month retail lease for 1,344 SF at 6445 N. 51st Ave., Glendale, AZ. The tenant, Herbalife, represented itself. Matt Harper, CCIM, represented the landlord, Grand Center Plaza, LLC, in a 25-month retail lease for 831 SF at 11001 N. 99th Ave., Peoria, AZ. The tenant, Freedom Roofing and Restoration, LLC, represented itself. TEMPE, Arizona (April 22, 2019) – With construction already underway on a number of new projects, master developer Catellus Development Corporation (Catellus) today announced it will bring a 259-room, dual-branded hotel to the Novus Innovation Corridor (Novus) in Tempe through a partnership with national developer and builder Mortenson. The eight-story hotel, located just north of the northeast corner of the intersection of E. Veterans Way and E. 6th St. in Tempe, will be constructed on a .98-acre footprint within walking distance of Sun Devil Stadium, and is immediately adjacent to Wells Fargo Arena and the planned Multi-Purpose Arena. 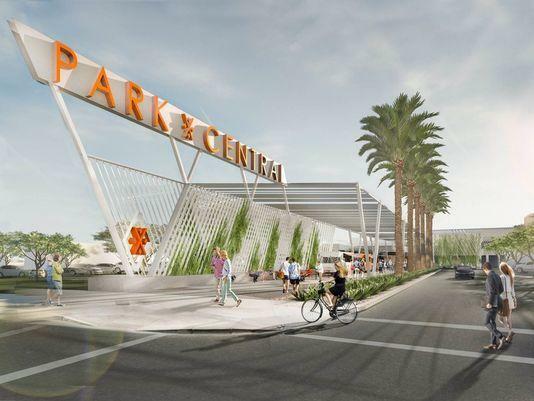 Amenities will be suited to visitors attending Arizona State University athletics games and events. Infrastructure activity to prepare for the first hotel, multifamily residential, multi-tenant office and parking garage within the Novus property began in late 2018. The Mortenson hotel project will be a part of the Hyatt Hotels Corporation under the Hyatt Place and Hyatt House flags. The hotel is planned to be LEED certified, with rooftop amenities that include a pool, bar, outdoor gathering area and fitness center. Hotel amenities will include an open lobby, shaded patio spaces and banquet, meeting, and outdoor event spaces. Guests will be able to relax and socialize in outdoor environments that also will include a ground-level guest kitchen, dining and lobby bar areas. “ASU is proud of the diverse growth of the Tempe waterfront through the ongoing development of the Novus Innovation Corridor,” said John P. Creer, Assistant Vice President for Real Estate at Arizona State University. 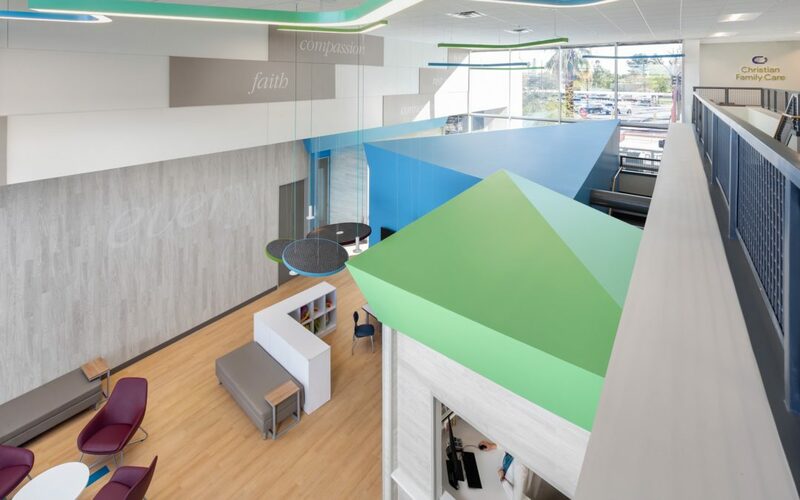 “As a hub for the region’s higher education and business communities, hospitality developments like this are both complementary to the lifestyle experience we are creating and essential to the establishment of Novus as an innovation zone that will advance ASU’s mission and contributions to Arizona’s economic development,” Creer said. Groundbreaking is scheduled for Tuesday, April 23, with completion expected in Summer 2020. 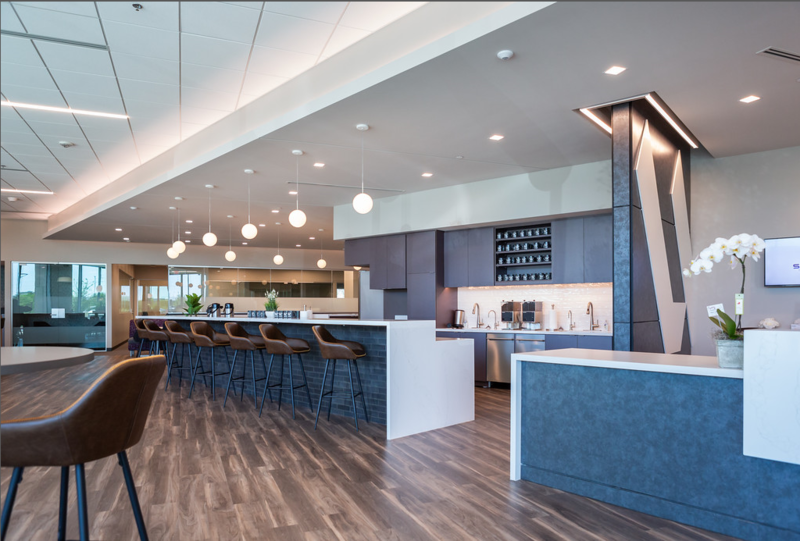 Known for its leading-edge construction technology and approach to sustainability, Mortenson is working with PK Architects, ESG Architects and Design Force Corporation to ensure that visitors experience the innovative vision of Novus firsthand. “Each element of the project, including landscape enhancements, will be thoughtfully designed to bring about the overall vision of the Novus Innovation Corridor,” said Charley Freericks, Senior Vice President at Catellus. “Novus Innovation Corridor is committed to attracting diverse, mixed-use development. Hospitality for university visitors and business people is a key component of the environment we’re building,” Freericks added. 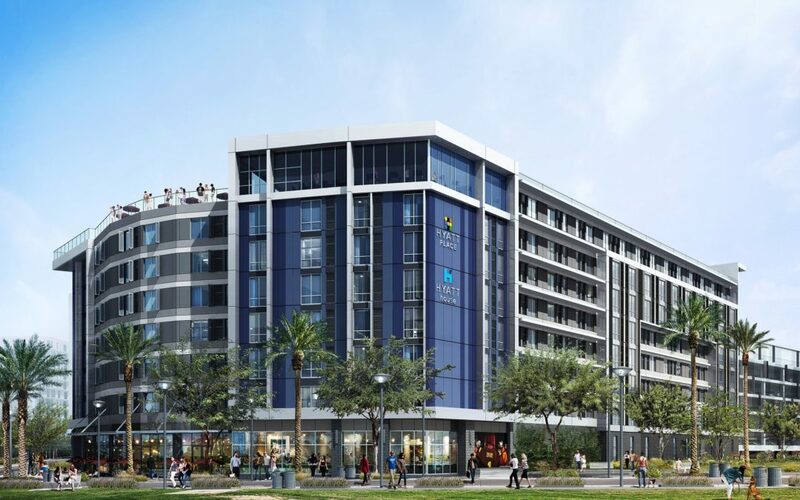 The hotel will provide needed capacity for the growing number of visitors to Tempe, which reached 3.7 million in 2015, according to a report from the Tempe Tourism Office. The Novus Innovation Corridor was enabled through legislation that was passed and signed into law in 2010. The legislation permits the Maricopa County Board of Supervisors to work with ASU to establish a district in which all land is owned by the university and assessments are imposed on developments locating within the district, the proceeds from which then are used to construct and improve ASU intercollegiate athletic facilities, rather than from state revenues and taxpayers. 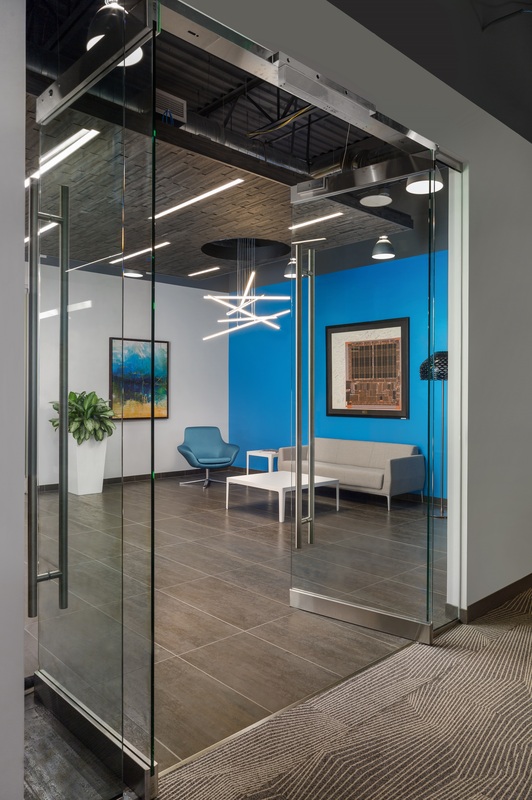 Located in the geographic center of metropolitan Phoenix, Novus Innovation Corridor is immediately adjacent to Metro Light Rail and the regional freeway system and less than two miles from Sky Harbor International Airport. Novus will be a model for sustainable planning and development, and is being planned and developed as mixed-use project that will include university athletic and recreational facilities blended with lifestyle and workplace uses, exemplifying the future of creative urban neighborhood design. For more information about Novus and its development opportunities, visit NovusASU.com, call (480) 566-9900 or email NovusASU@catellus.com. Novus Innovation Corridor (Novus) is a 350-acre, multi-phased development, which at completion will encompass approximately 10 million square feet of urban mixed-use opportunities, including the State Farm Insurance 2.1-million-square-foot regional hub in Marina Heights. Strategically integrated with the Arizona State University campus on Tempe Town Lake, Novus is a partnership with the nation’s “Most Innovative University.” ASU enables companies that locate within Novus to achieve synergies through all the resources a major research university offers, including access to world-class research and a highly educated and skilled workforce. Through a public-private partnership, ASU and master developer Catellus will oversee development of approximately 8 million square feet of additional new development including apartments, offices, retail businesses and hotels within Novus. At completion, Novus will integrate private, sustainable mixed-use development with new and renovated, best-in-class collegiate athletic venues paid. For information, visit NovusASU.com. Arizona State University has developed a new model for the American research university, creating an institution committed to excellence, access and impact. ASU measures itself by those it includes, not by those it excludes. ASU pursues research that contributes to the public good and assumes major responsibility for the economic, social and cultural vitality of the surrounding communities. This “New American University” is a single, unified institution comprising five differentiated campuses, plus the ASU Research Park, SkySong – The ASU Scottsdale Innovation Center, Chandler Innovation Center and the Mayo Clinic Partnership. Its research is inspired by real-world application, blurring the boundaries that traditionally separate academic disciplines. ASU champions intellectual and cultural diversity, and welcomes students from all 50 states and more than 120 nations. Catellus is a master developer focused on creating some of the most innovative and sustainable mixed-use developments in the nation. Catellus has 30 years of experience transforming former brownfields, military land and airports into developments that include retail, commercial, residential and other public uses. Catellus delivers on all aspects of a project, including site planning, entitlements, public financing and sustainable design. Notable Catellus projects include Prairie Glen in Glenview, Illinois; Alameda Landing in Alameda, California; Los Angeles Air Force Base in El Segundo, California; Mueller Airport in Austin, Texas; and Pacific Commons in Fremont, California. Catellus is uniquely positioned to deliver on the nation’s increased demand for well-planned, mixed-use developments. Mortenson is a U.S.-based, top-20 builder, developer and provider of energy and engineering services committed to helping organizations move their strategies forward. Mortenson’s expanding portfolio of integrated services ensures that its customers’ investments result in high-performing assets. The result is a turnkey partner, fully invested in the business success of its customers. Founded in 1954, Mortenson has operations across North America with offices in Chicago, Denver, Fargo, Iowa City, Milwaukee, Minneapolis, Phoenix, Portland, San Antonio, Seattle, Washington, D.C., and in Canada. For additional information, visit www.mortenson.com. 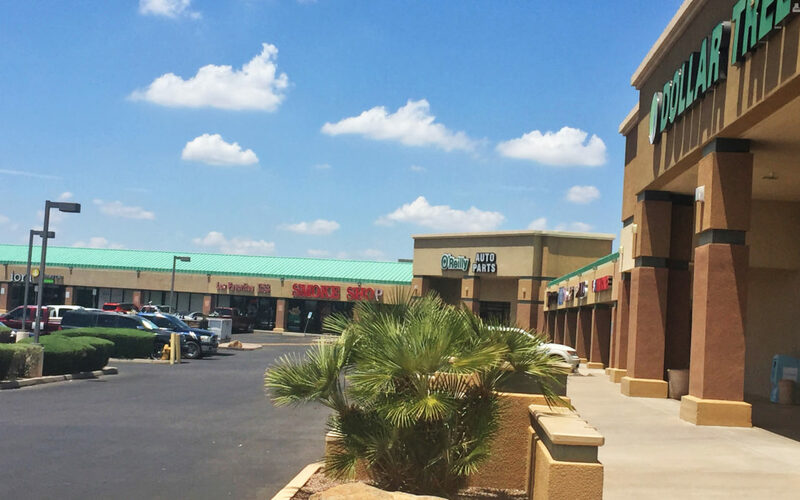 PHOENIX, ARIZONA (April 22, 2019) – NAI Horizon represented PVO, LLC (Paul Wong, Principal), the seller, in the $2.2 million investment sale of Paradise Valley Oasis, a 35,790-SF retail strip center located at 13825 and 13831 N. 32nd St., in Phoenix. NAI Horizon Senior Vice President Lane Neville; Vice President Matt Harper, CCIM; and Associate Logan Crum represented the seller. “This value-add retail property has a mix of long-standing local tenants that serve the surrounding neighborhood of 32nd Street and Thunderbird in north Phoenix,” Neville said. Built in 1980, Paradise Valley Oasis sits on 2.65 acres. It is surrounded by high density single family residential and neighborhood retail and office centers. There are more than 33,000 vehicles per day at the intersection of Thunderbird Road and 32nd Street. Located within a 3-mile radius of Paradise Valley Oasis are more than 125,000 people, averaging approximately $60,000 income per household per year. The property is easily accessible from SR 51. PHOENIX, ARIZ. (April 22, 2019) – Magnum Companies, a Phoenix-based designer, fabricator, and installer of metal components celebrating its 40th anniversary, won three Silver Awards at the 2019 Ernest Wiemann Top Job Competition for outstanding craftsmanship. 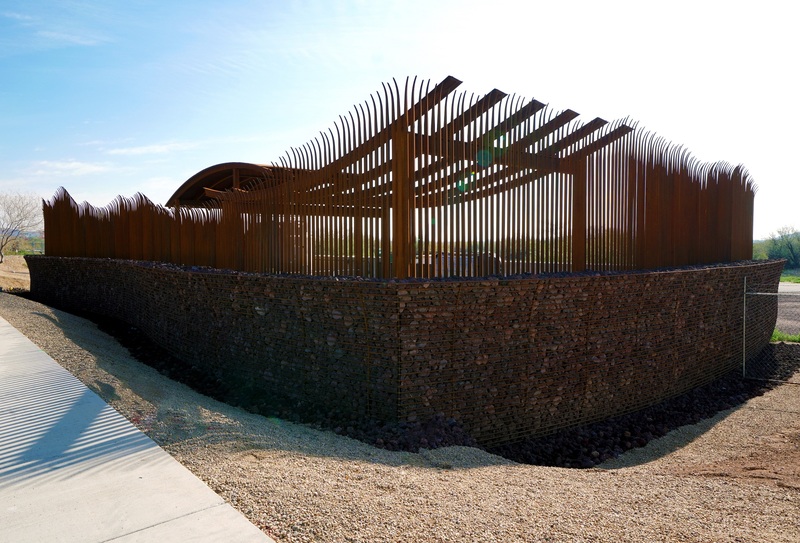 At last year’s NOMMA dinner in Phoenix, Magnum won four gold awards. They included Exterior Railings and Fences (non-forged): Grand Canal, Tempe; Structural Fabrication: Shadow Play, Phoenix; Unusual Ornamentation Fabrication: Alliance Bank, Gilbert; and Art/Sculpture: Moebius/Cloud, Culver City, California. 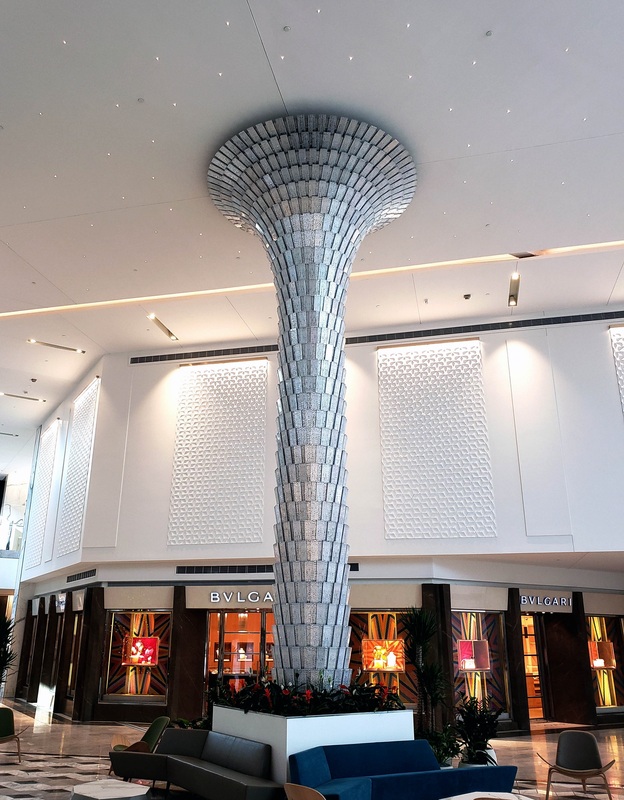 Scottsdale Fashion Square earned Magnum Companies a Silver Award in Unusual Ornamental. Magnum Companies won a NOMMA Silver Award in Art/Sculpture for COP Odor Control. The Magnum Companies, based in Phoenix, Arizona, was established in 1979 to provide metal fabrication solutions for our local community. Over the years, Magnum has earned the reputation of problem-solving experts around Arizona and the U.S. With a state-of-the-art 32,000 SF manufacturing plant, we offer services in design, drafting, and 3D imaging that allows us to produce cost-effective solutions in precision sheet metal, welding, fabrication, finishing, and installation. For more information, visit magnumcompanies.net. NOMMA is the trade association of the ornamental and miscellaneous metalworking industry. Founded in 1958, our members fabricate everything from beautiful railings and driveway gates to structural and industrial products. Whether it’s a backyard garden gate or large commercial railing, our members are ready to turn your concept into a reality. To learn more about NOMMA and the Top Job Competition, visit www.nomma.org. 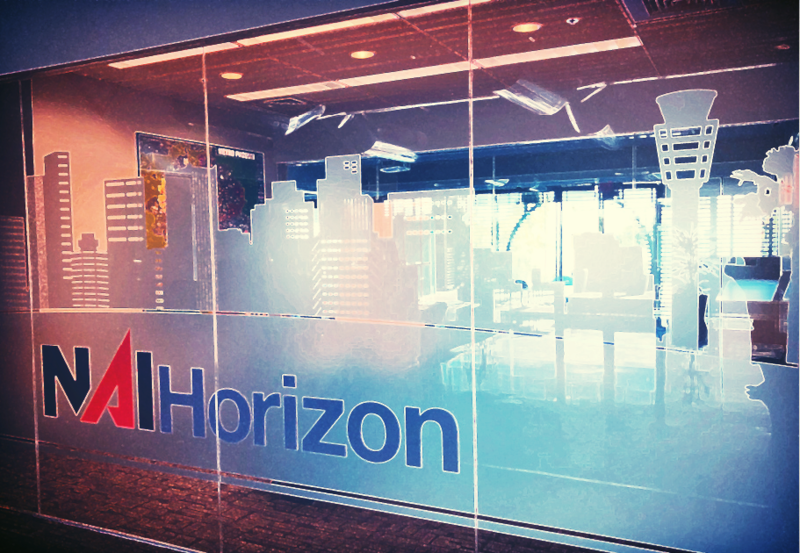 PHOENIX, ARIZONA (APRIL 18, 2019) – NAI Horizon’s success in 2018 was highlighted by national recognition, continued growth and a record $357 million in total transactions. The firm received the NAI Global President’s Award in recognition of its leadership, teamwork, and performance at the NAI Global’s international convention in Austin, Texas. Terry Martin-Denning, NAI Horizon’s CEO/Designated Broker, was also named to the NAI Global Leadership Board. In 2018 five new agents were hired in the Phoenix office: Joan Krueger, office/Industrial; Lori Kahn, office; Mike Kumelski, retail; Jay Olson, industrial; and Victoria Filice, investment sales. 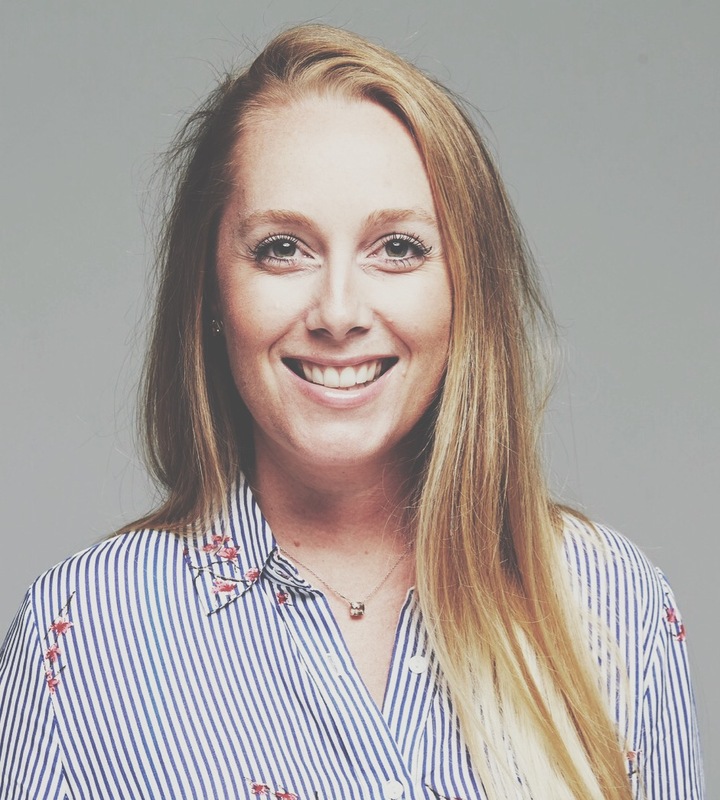 These new hires bring an additional level of experience, market knowledge and skillsets that align with the short and long-range goals of the company. NAI Horizon’s retail team of Senior Vice Presidents Chris Gerow, Shelby Tworek, Gabe Ortega and Associate Patrick Anthon negotiated the most transactions by a team. This included long-term leases totaling more than $23 million for Planet Fitness locations throughout the Valley. Matt Harper, CCIM, who was recently promoted to Vice President, closed the most transactions by an individual. Harper was also elected secretary/treasurer for the Central Arizona chapter of CCIM. 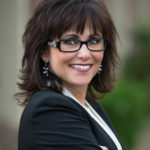 Denise Nunez brokered the largest sale, $24.4 million for self-storage properties in California. 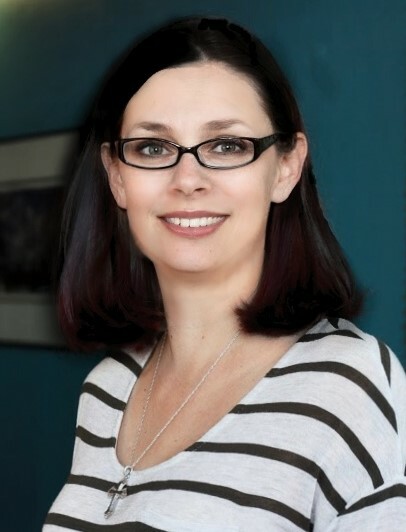 Laurel Lewis recorded the largest lease, $10.6 million at 8300 E. Raintree in Scottsdale.